Our existence has a twin in a general prospect, and that is Humanities. Humanities is the study about human culture, such as literature, philosophy, and history.These have become some of the subjects that conventionally fall under the Humanities umbrella. Expertise on these categories of human aspects give us the opportunity to feel a sense of connection to everyone who have come before us, as well as those who will live after our lifetimes. We can’t deny that Humanities has contributed a lot. One is how we look at things differently. This illuminates the importance of critical thinking, historical consciousness and creating competent democratic citizens. 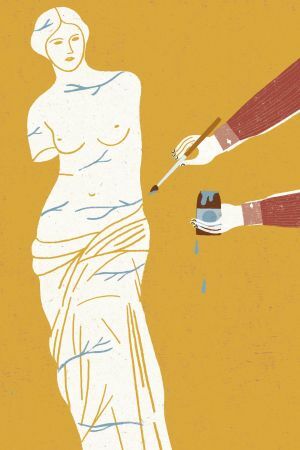 This allows us to gain a new perception of everything from arts to business models to politics; humanities subjects have been the center of liberal arts tutelage since the ancient Greeks first used them to educate their people. Inquisitions into human experience speeds up our knowledge about the world. Through the contributions of Humanities scholars, we learn the norms of different cultures, like what goes into creation of art, and how our history was made. Their legacies preserve the great accomplishment of the past, help us to better understand today’s world, and give us ideas on how to rock the future. Humanities also brings a bit of clarity to the future by providing the conceptual foundation in searching and understanding the human experience. Furthermore, the study of different language can ease the appreciation for the parallelism of cultures .Pondering a sculpture can give an idea on how artist life affects an artistic thinking. Vigorous, Dynamic and deep that’s what Humanities is and it would until generations to come. Medical humanities is an interdisciplinary field of medicine consisting of the humanities, social sciences and the arts. When we say humanities, it involves different studies like the literature, religion, ethics, philosophy, and history. Social sciences, on the other hand, involve cultural studies, psychology, anthropology, sociology, health, and geography. While the arts include theater, literature, film as well as visual arts. 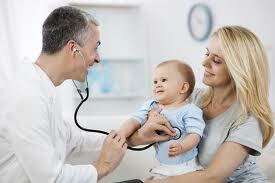 These subjects are used to determine the application and relation of specific factors in health and medicine. 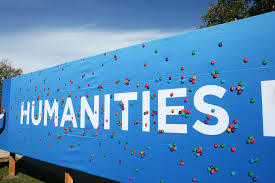 Medical humanities is also understood to be an interdisciplinary, and increasingly international undertaking that pulls on the innovative and intellectual skills of diverse disciplines, including literature, art, creative writing, drama, film, music, philosophy, ethical making decisions, anthropology, and history, in pursuit of medical educational goals. This approach to medicine is a wider and generalized view on how individuals are affected by many elements surrounding us. The health care system recognizes the value of the humanities in preparing health care professionals to tackle the learning and practice of medicine. The interdisciplinary humanities educate students to check out the historical, linguistic, cultural and aesthetic contexts in which we live. It also allows students to discover and attend more fully to the lasting question of what it is to be human and think deeply and critically and react successfully to the complex situations by which we find ourselves. The intellectual practices of the humanities, along with the expertise in creating a capstone research and studies that deals with the intersection of the humanities and medicine, have the potential to affect students in many ways that will increase their future performance as physicians managing and reaching patients drawn from across different life circumstances and contexts. Pay attention to the serious talk around universities, read op-eds and publications and you might think the humanities were in greater risk than the earth’s environment. In fact, despite the overheated stated claims, the humanities are not at death’s door. Modern demands will more likely force them into a new shape, and eventually a healthier one. That claim might seem unusual. The percentage of scholars specializing in the humanities has sunk to an all-time low. Learners have turned their backs on art history and literary works in support of studies like bookkeeping and medical, that leads straight to jobs. Governors like Florida’s Rick Scott have proved helpful to undercut areas of study not tuned carefully to employment. President Obama wants education to stress technology, science, engineering and arithmetic. Resources for disciplines in professions like history and linguistics are drying up. The legislature has already reduced the budget of the National Endowment for the Humanities and now Rep. Paul Ryan wants to destroy it. Analysts of higher education paint a more uncertain image. How many years ago you start counting either degrees or research dollars, determines how depressing the humanities figures look. And with more and more people in America going to college only to qualify themselves for work, most time-honored areas of study have taken a hit, not just the humanities. But even at a conventional, top level organization like Stanford, degrees in humanities professions have dropped so low as to alert teachers into unmatched missionary initiatives. Whatever precise form changes takes, teachers and their learners are likely to find that the humanities amount to more than a set of separated professions, each stuck on its own island. Ordinary readers might find learned research in art, history and literary works regularly published in language available to them, even released in general-interest publications, as it usually was before 1850. Even political figures may look for the value of erudition efforts. Today’s many humanities jointly form the newest edition of a millennia-long European custom of query into language and its products: inquiry, that is, into worlds that humans have created for themselves and expressed in words. That endeavor will not vanish, even when the present humanities disciplines do.